Subtle colour tones give the bouquet a simple elegance, and there is something wonderfully sophisticated about the variety of flowers and detail that burst forth. 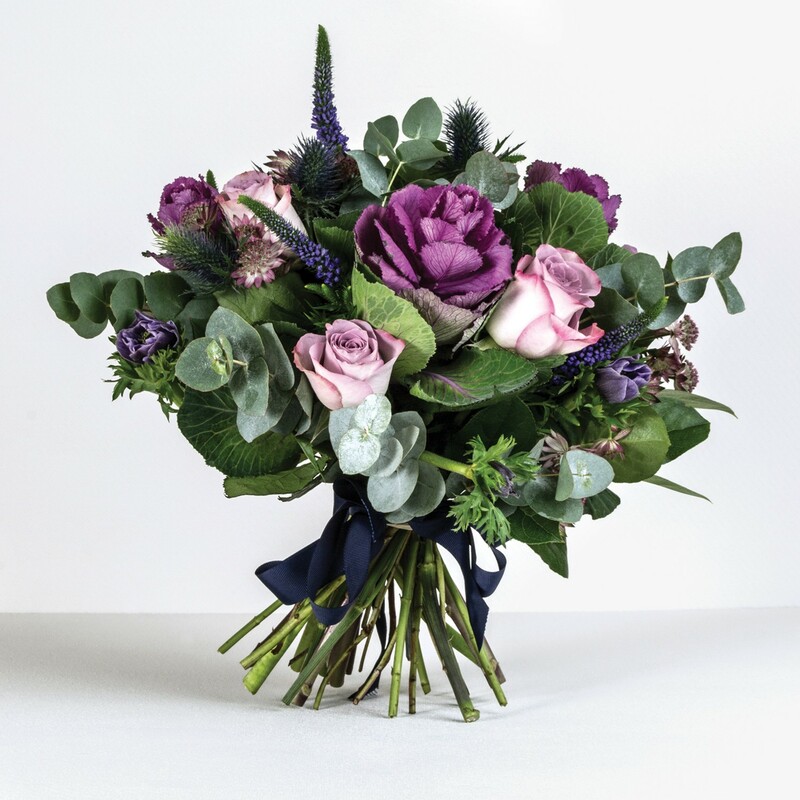 Lilac roses add a chic twist to a timeless classic, and look superb when paired with the purple petals of the crepe-like brassica. The long sprays of veronica adds height and texture, and a touch of thistle makes for an elegant and unusual addition with the eucalyptus leaves, to offer something both captivating and tasteful.